I don’t know where I got this recipe so I can’t give anyone credit. Sorry. They are tasty but very soft and tender. If you like your cookies to be cake-like, these are for you. The glaze here is doubled from the original as I always run out of glaze and I don’t want you to have that same frustration. In a large bowl beat butter and sugar until light and fluffy, about 3 minutes. 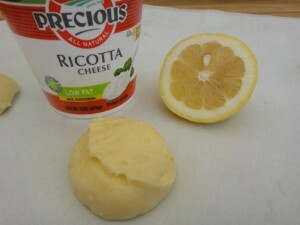 Beat in ricotta cheese, 3 tablespoons of lemon juice, and zest of one lemon. Line baking sheets with parchment paper. 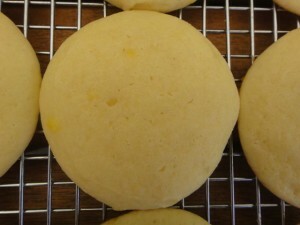 Spoon about 2 tablespoons of dough for each cookie onto baking sheets. Bake for 15 minutes, until slightly golden at the edges. Remove from the oven and let rest on the baking sheet for 20 minutes. 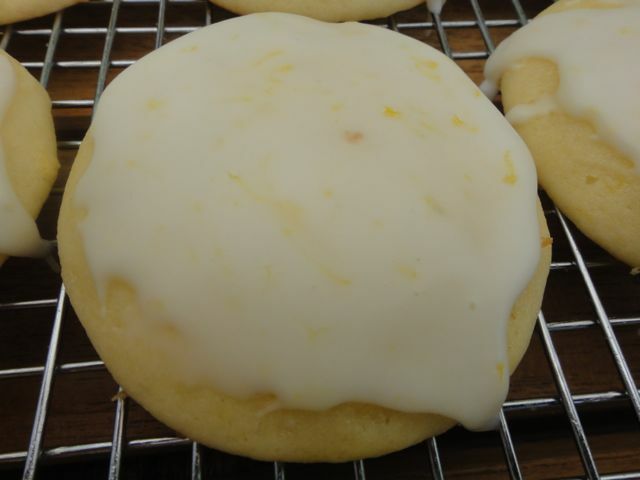 Combine powdered sugar, 6 tablespoons of lemon juice, and zest of two lemons in a bowl and stir until smooth. Spoon about one teaspoon onto each cookie and gently spread toward the edges. Let the glaze harden for about 2 hours. 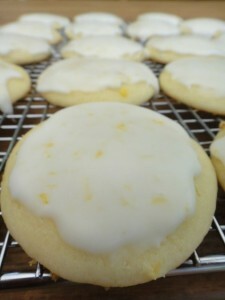 Of all your cookies, these are Jackie’s favorite! They are fantastic! These are delightful! My Italian Aunties make them for christmas, they never last long!